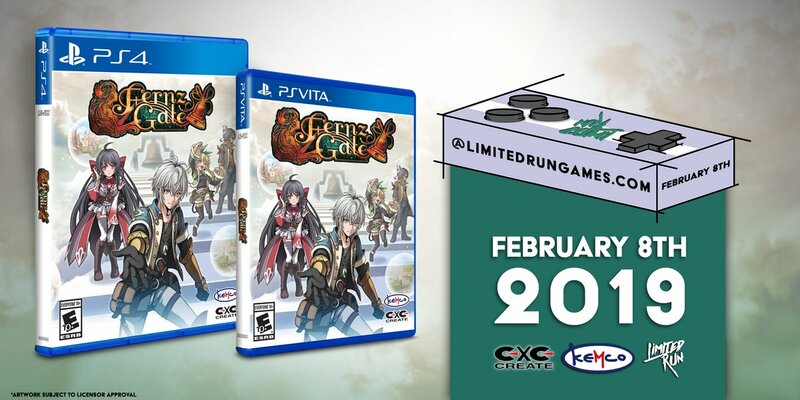 Limited Run Games has announced that Kemco and EXE-Create’s Fernz Gate will be receiving a physical edition for PlayStation 4 and PlayStation Vita. The edition will be available to order from Limited Run Games’ website from 10am EST tomorrow, February 8, 2019. Fernz Gate is a fantasy RPG that follows Alex, a normal high-school student who is transported to the world of Fernland. The game is currently available digitally on iOS, Android, PC, PlayStation 4, PlayStation Vita, Xbox One, and Nintendo Switch.